Cats have a well-deserved reputation for independence and a low tolerance for close human intervention in their daily routines. If your cat has a soiled hair coat and mats that have gone beyond his own grooming skills, he will not necessarily appreciate your attempts to lend a helping hand. Sometimes it becomes necessary to sedate a cat for grooming for her health and well-being. Since the skin is the largest and most exposed organ of a cat’s body, its health reflects general vitality. Cats are self-grooming, of course, but selective breeding has produced coats that often require more maintenance than felines can generate on their own. When you help your cat groom, it takes on various forms such as combing, brushing, bathing, shaving, or medicated shampooing. If your cat requires sedation to be adequately groomed, how do you go about it? There are several ways to sedate a cat for grooming, ranging from relaxation all the way to general anesthesia. Why does your cat need to be groomed in the first place? If your cat is growing older in years and grooming becomes increasingly difficult, bathing and brushing become of paramount importance. Some cats are not very fastidious about grooming, leading to clumped fur and build-up of skin debris. It is good to get in the habit of trimming your cat’s toenails. Your cat should get used to you handling her feet and nail trimming becomes a necessity for most senior cats. Some cats with eczema or skin allergies require regular medicated baths. Long-haired cats are prone to their undercoat matting. The more mats they acquire, the less vigilant they become about grooming themselves, easily setting up a vicious cycle. Flea-infested cats may need to be bathed and combed to rid them of parasites. ” Lion” shaves or body clips can be an easy way to keep your cat’s coat tidy and manageable. Grooming your cat on a regular basis is a great way to check your cat’s skin and body for early issues like growths or ringworm. What makes a good candidate for sedation for grooming? Cats who do not like to be bathed often can become more tractable with a tranquilizer or antianxiety medication. 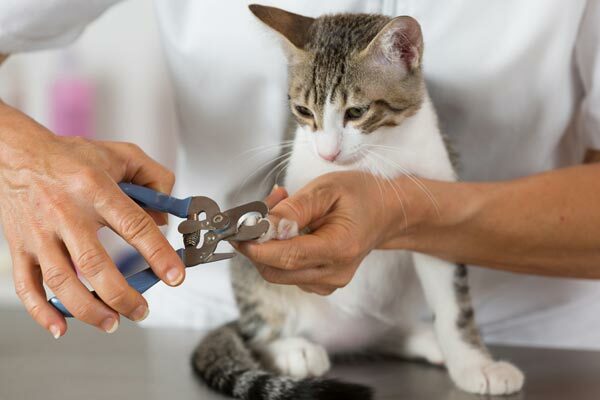 If your cat is afraid of the sound of clippers or constantly tries to escape from the grooming surface, he could benefit from light to moderate sedation. Any in-depth grooming for medical reasons requires sedation if not anesthesia. Feral cats or otherwise unsocial cats likely need to be sedated or anesthetized to be groomed. These cats are not wired to accept the intimate contact effective grooming requires. Consider sedation for any prolonged grooming sessions or severely matted hair that can prove uncomfortable for your cat. The more distressed or impatient your cat becomes, the more likely he is to suffer injury from comb, brush or scissors. Hard-to-reach areas like under the tail or the armpits are a breeze with sedation as you have many more positioning options for your cat. 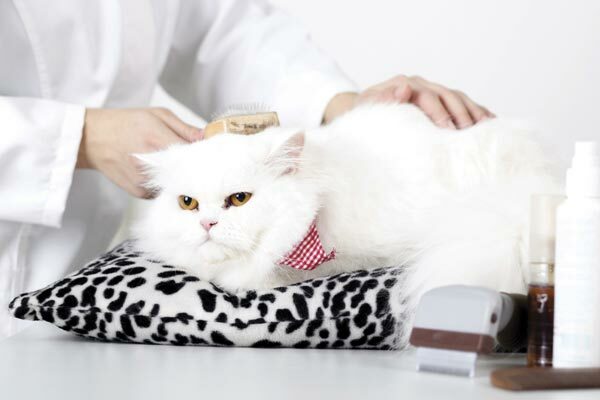 What are the top 5 ways to sedate a cat for grooming? General anesthesia may seem extreme, but a few cats absolutely need it to be properly groomed. A cat with extensively matted fur should be anesthetized. Dense mats of snarled hair that lies close to the skin are difficult to remove from an animal that is not absolutely still. There is a significant risk of cutting your cat’s skin. Besides, mat removal can be painful for your cat. 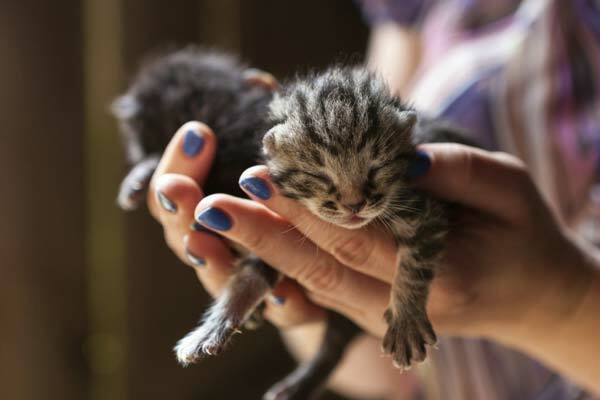 Cats with maggots or other parasites, infected lacerations or other injuries should be anesthetized so the area of concern can be groomed, cleansed and thoroughly inspected. Fractious cats often require anesthesia because they will not otherwise tolerate bathing, brushing or shaving. If a cat wants you dead, you will not be able to approach her with anything close to a set of clippers, and sedation does not provide enough duration to complete grooming. General anesthesia can be accomplished by injection, gas inhalation or a combination of the two. It should always be performed under the direct supervision of a licensed veterinarian who will likely have qualified technicians assisting. Very predictable and consistent response under a professional’s care. Your cat will be completely still, allowing for thorough and efficient work. What are injectable forms of general anesthesia? Opioids like Butorphanol or Buprenorphine are meant to treat pain but also cause profound sedation. They are often combined with other classes of drugs to achieve general anesthesia. Constant rate drips with propofol may be appropriate for short procedures. Dissociative hallucinogens like Ketamine feature in a cocktail for short sessions. According to Cornell College of Veterinary Medicine, Inhalation, or gas, anesthesia is one of the most effective and safest methods to keep cats under general anesthesia for surgery and other long and involved work. They are usually maintained with a tube in their trachea to monitor respiration and to administer the gas. When are inhalation and injectable anesthetics combined? Often cats are eased or induced into general anesthesia with an injectable drug and maintained on gas. This provides an excellent blend of pain-control, anesthesia, and smooth recovery. Oral sedation with medication is the means of administering a tablet or a liquid to a cat to either calm her or remove anxiety. What categories of oral medication can you give to your cat for sedation? Acepromazine is strictly a tranquilizer and is one of the most common oral sedatives given to cats, dogs, and horses. Unfortunately, it has no analgesic properties but remains safe for occasional use if correctly dosed. According to DVM360, Benzodiazepines are in a class widely used to alleviate anxiety. They can be used to help imminent anxiety or can be instrumental in anxiety disorders. Diazepam, Xanax and Lorazepam are used with success as a nontoxic sedative for cats. You must take extreme caution with dosing. Benadryl and Chlorpheniramine have broad use in cats for sedation and relief of anxiety during travel and grooming. Can be administered at home. Not as broad an effect as general anesthesia. Administration to cats can be quite challenging. Injectable sedatives may provide rapid tranquilizing effects but are more difficult to monitor safely at home. Some medications are better administered by an intravenous route, and you definitely need a trained professional for that. Some drugs given directly into the bloodstream have a much more dramatic effect than if they were injected under the skin or even given orally. Acepromazine can be administered subcutaneously (in the thin fat layer under the skin) or intravenously. Because of its profound respiratory, cardiac and temperature lowering effects, injectable Ace should be administered by or in the presence of a veterinarian. Diazepam can be administered intravenously, and again effects are more pronounced than for the oral form. Can be more efficient to administer than oral medications. Often quicker-acting than oral forms. Effects are more dramatic than for oral administration. According to PetMD, Homeopathic treatments come in the form of pheromones or oral herbs. Pheromones are chemicals emitted by animals to send messages to each other. Particular pheromones cause distinctive responses like contentment or even sedation. The power of pheromones has been harnessed in such dispersible forms as collars, wipes and plug-in diffusers. Easy to administer to cats. According to AgelessPaws, Oral herbs may be useful alone or combine with pheromones. Many of them are like pheromones in that they calm and relax more than they actually sedate. A few examples are valerian, skullcap, chamomile, and passionflower. They do not have as many side effects as some drugs. Some flower essences can be rubbed directly on your cat with no need for ingestion. May work more effectively if given over time. Some herbal supplements can react with medications. 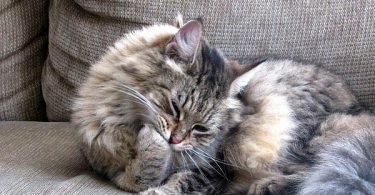 Physical restraint techniques in some cases can sedate cats, but may not be sufficiently long enough for grooming and may impede access to certain areas of the animals. Thunder shirts are clearly not appropriate for most types of grooming, but acupressure points may be. No drugs or chemicals whatsoever. May not be viable if the cat is feral and anxiety may override it. 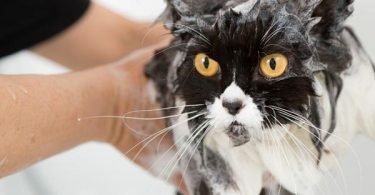 What should you do before sedating a cat for grooming? Always consult with a veterinarian to determine good medication options for you and your cat and for dosing instructions. Cats are highly sensitive to drugs and cannot be dosed like small dogs. Make sure to have your feline companion thoroughly examined by a licensed veterinarian. Sedation and anesthesia affect a variety of organs like the kidneys, liver, and heart. It is very important to make sure these systems are working correctly before stressing them with any form of sedation. Have everything you need for grooming organized ahead of time. You want to accomplish the task at hand as quickly and efficiently as possible. General anesthesia should be as short as reasonably possible. Duration of sedation is not always predictable, so finishing rapidly helps ensure no more medication will be required for the session. As portrayed in this YouTube video, a trial run of any medication is often a good idea. You can also obtain tips for giving oral medications to your cat. Be sure to allow enough time before the procedure for any medication to take effect. Oral drugs especially will take a while to reach appropriate levels of activity in the bloodstream. Your cat should be calm before you administer medication. He can have an unpredicted response to tranquilizers if administered in a heightened state of excitement. Acepromazine and some opioids, for example, can cause the opposite effect to what you want. Keep in mind that just because a cat has been previously sedated for grooming does not mean she will always require a tranquilizer to be bathed or clipped. Sedation should never be taken lightly. If your cat requires general anesthesia, be vigilant about following all of your veterinarian’s fasting instructions. Vomiting is a common side effect with anesthetic administration. What should you watch for in a cat sedated for grooming? Once you sedate your cat, look for any signs of adverse reactions. Cats can suffer hypersensitivity to a wide range of substances, or some compounds just do not agree with them. Generally, prescribed sedatives are safe, but if you experience any concerns, contact your veterinarian immediately. If any medications do not have the effect you were anticipating, contact your veterinarian. Never go beyond dosing ranges without consulting a professional. Is sedating your cat for grooming safe? According to Wedgewoodpetrx, Your veterinarian will propose the safest plan for sedating your cat. With appropriate drug choice, dosing plan and precautions, sedation is often safer than the alternative of creating unbearable stress for your cat. Your veterinarian will likely suggest periodic bloodwork and pre-anesthetic work-up assessing organ functions before any drug administration begins and to assess the effects of ongoing use. Your veterinarian will evaluate liver, kidneys, heart and medical history before prescribing any medications. Respiratory depression is a universal side effect of many tranquilizers and injectable pain medications. Careful monitoring and correction of changes in breathing patterns during sedation are vitally important and even more so under general anesthesia. Acepromazine has a variety of uses but its interaction with other drugs must be closely supervised. It is processed through the liver, so liver enzymes are monitored with repeated use. Cats can sometimes have a paradoxical response, becoming excited instead of sedated. Diazepam, or valium, and other benzodiazepines require liver monitoring if use is repeated and over a long duration. Grooming can be a source of angst for both you and your cat. Many cats are not accustomed to being bathed, having their feet touched or experiencing hair removal by electric clippers. They may manifest their distress by squirming, repeatedly trying to escape or by displaying signs of aggression. You, in turn, become worried about inflicting injury to your cat’s delicate skin. 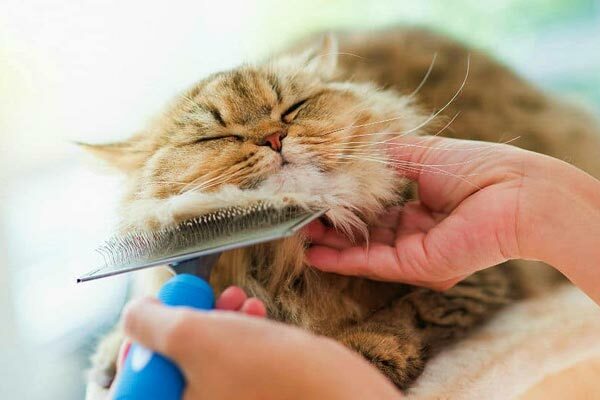 Learning how to safely sedate your cat for grooming can make a life-altering improvement to this aspect of your relationship with your pet.